Timkat (Epiphany, celebrating Christ’s baptism) – 19 January. This three-day festival is the most colourful of the year. The church tabots (replicas of the Ark of the Covenant) are taken to a nearby body of water on the afternoon of the eve of Timkat. During the night, the priests and the faithful guard the tabots. The following morning, the crowds gather around the water, which is blessed and then splashed onto them. Religious vows are renewed. The tabot is then paraded back to the church, accompanied by much singing and dancing. 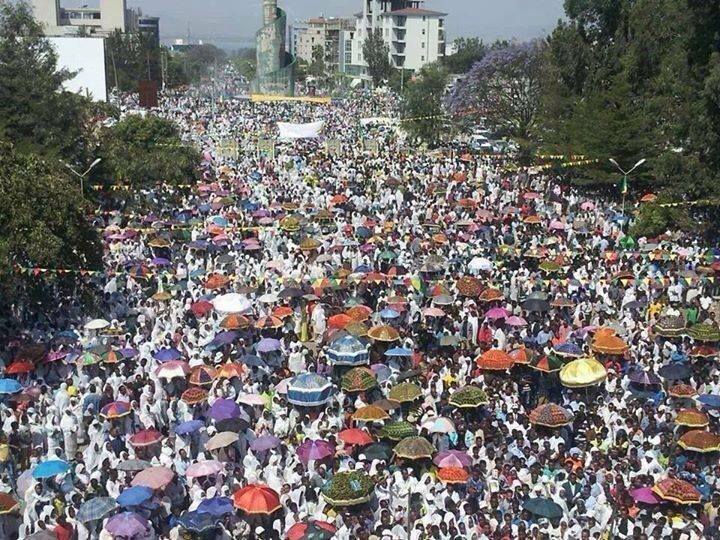 Gondar is considered to be the best place to be for Timkat. Addis Ababa is also good.